Last Thursday, the Windsor & Essex County Plein Air Society braved the frigid temperature and went to the Canadian Transportation Museum just west of Kingsville, ON. Behind the museum is the Heritage Village which features restored buildings from 1826 to 1920. Arriving there at 9:45 am, I started painting my interpretation of the pioneer village. Although it was cold (-14 degrees C), the sun was laying down some awesome shadows. It was not long before my paints froze and my paint brush was encrusted with ice. With only a bare image, I went in search of the other members who seemed much more prepared to endure the morning’s outing. Hearing of my adversity, our fearless leader pulls out a hot water bottle! It provided me with just enough time to obtain a value sketch. 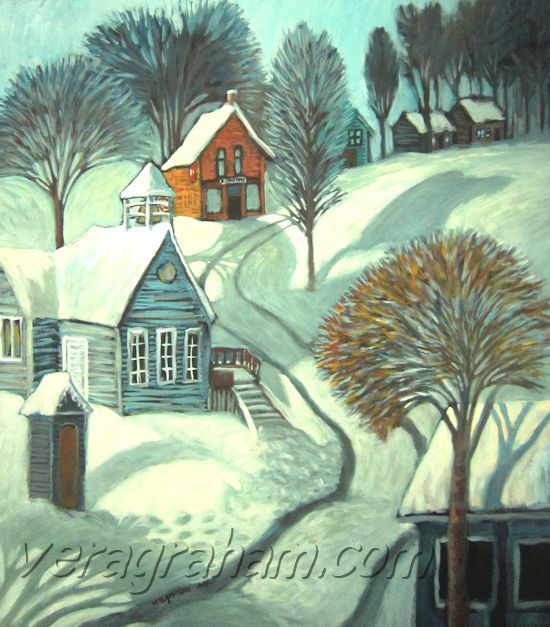 In the warmth and comfort of my studio I competed this piece entitled “Sun Shine on the Village”. I also added a hot water bottle to my list of survival gear. 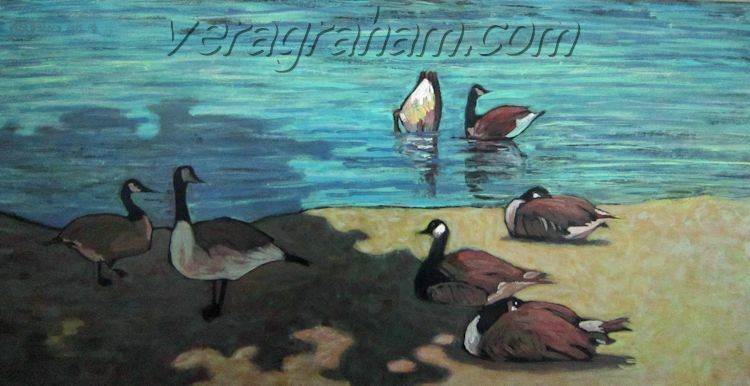 #Geese at #McKeePark in Windsor, ON. I got this #pleinairpainting part way done seven months ago… but today I finished it! 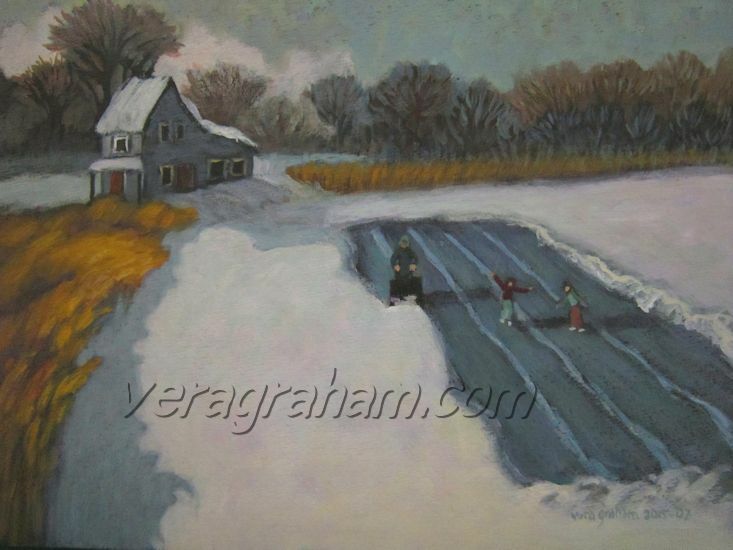 I was out with my daughter and saw a man shoveling off Cedar Creek while his kids were skating. True Canadian winter!